What's the best draught beer in Thailand? I've tried Heineken and Chang on tap,both taste like shite! Then you will appreciate Chang. Guiness isn't beer, it's a stout. Draught beer is only as good as it's kept & keeping it well costs money, so I wouldn't expect to find a decent pint anywhere. Tiger is about as good as any local draught, but very few bars know how to keep their draught, or just don't bother. 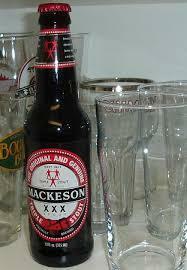 I'm with Marmers on Guinness although I have been known to resort to Mackeson when there was no Guinness to be had. Guinness with fresh Cod and chips. Heaven. Stout is a beer, dickhead. By your reasoning, Heineken isn't a beer either; it's a lager and Kilkenny is a bitter. Stick to bottles. (San Mig Light or Corona for me)..
Not very helpful I know, but needed to get my post count up to 10 so I could post a trip report..
We tried the Leo lager shite on draught in the bar! !Sold alot but we also had a free bbq and live music. Next on the list is Singha. Your Just a slow Drinker ! Heineken !!!!!!!!!!!!! Thats for Girls and Americans . Where's the cheapest place I can buy Guinness? ^I wonder if they deliver? I WISH TO INTRODUCE MYSELF TO YOU. I AM PRINCE DESMOND OKOTIEBOR ETETE. COMMUNITY IN NIGERIA. I HAVE A HUGE AMOUNT OF GUINNESS PRESENTLY IN THE PALACE. BY THE MULTINATIONAL IRISH BREWING COMPANIES THAT ARE MAKING BEERS IN OUR KINGDOM. WIWA WAS KILLED IN THE COURSE OF THE ARMYS BRUTALITY AND OCCUPATION. HUGE AMOUNT OF BEER IS IN THE PALACE. I URGENTLY AWAIT YOUR E-MAIL. First choice worldwide is Fat Tire. Erdinger gets my vote - and no, i'm not a kraut. Fat Tire is a damn fine, drinkable beer. The Best Beer, bar none, has got to be Tasmanian Devil Ale, from Buffalo Bills Brewery, Pub and Restaurant, Hayward California. Worth a thirty mile drive for a pastrami sandwich, a few pints and a couple half gallon Jugs to go. Best beer I have ever tasted. The best bottled beer in Thailand, is Tiger, and the Tiger girls are scrummy too, not that I have tasted them. The best production beer in the worl is Cascade. You must be an Aussie to have such awful taste in beer.